Yesterday I posted about a method to get Chronos running on a new computer that had never run Chronos before. It appears that the process to make that happen is slightly more involved than I had previously thought and also more disturbing. 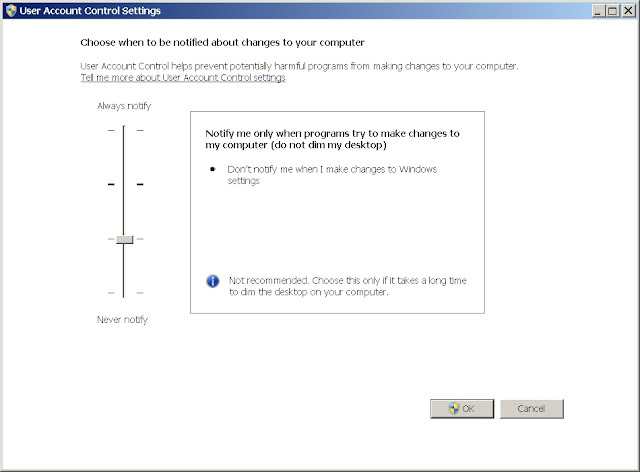 Turn User Account Control (UAC) Settings completely off. I explain the particulars of this in yesterday's post 'Maptek Vulcan Chronos Crashes on Startup'. This will require a restart of your machine. 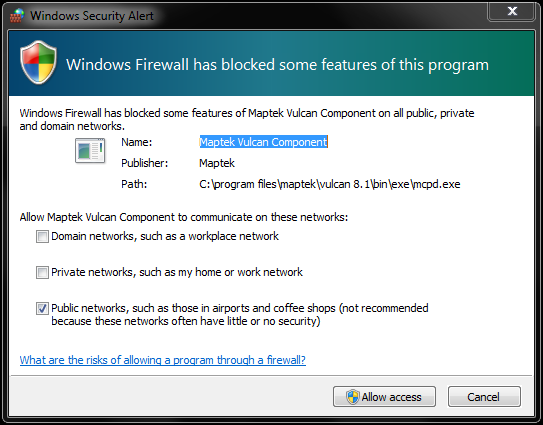 Now that the UAC Settings are completely inactive (not protecting your computer) you can start Chronos without crashing Maptek Vulcan. 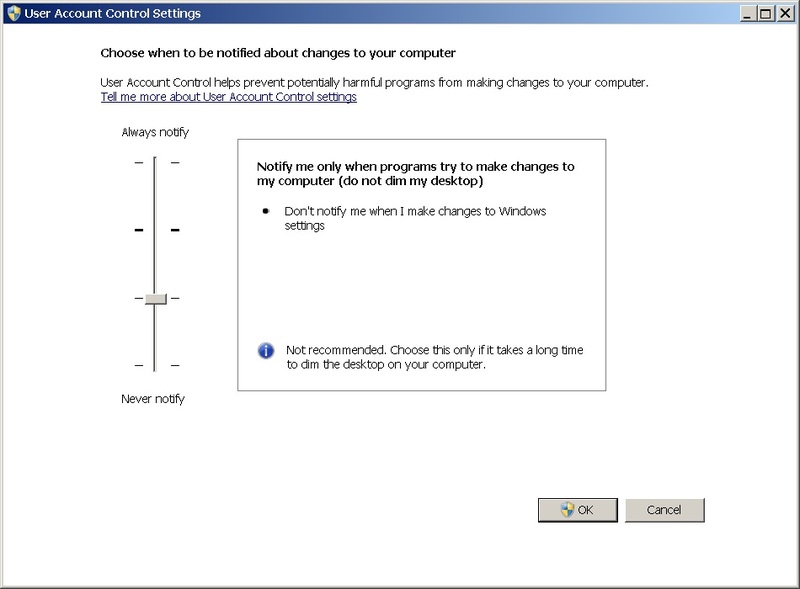 Once Chronos has been run once without the protection of UAC you can return your settings to the default level (this will require another restart). This process worries me. I don't know what was changed on my machine (because UAC was turned off when Chronos was finally, successfully started) but I know that something was definitely changed (because Chronos runs fine with the default UAC Settings). This is a change in addition to granting Vulcan access through the firewall to communicate with Excel while running Chronos. I asked the Maptek folks what they were changing while my UAC Settings were disabled so I can keep everyone posted when I hear back. From time to time I run into the frustrating scenario where I import data into Maptek Vulcan and nothing appears on the screen. If you run into the scenario where what you imported doesn't appear in Vulcan you need to use the View > Windows > Fit Layer... menu option. There is always the chance that the file, either dxf or arch_d, didn't have any data in it but I have never seen that instance. Another instance of the same problem is where your imported data appears as a straight line at the side of the screen. 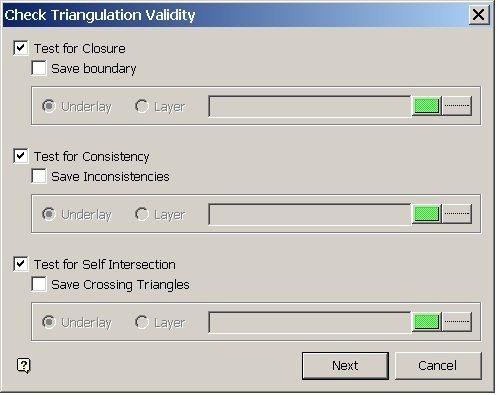 Maptek Vulcan uses a Start-up Parameters file to define the 3D extents of the data displayed in Envisage. When you use the Zoom Data Extents option Vulcan searches a certain percent outside these extents (I think it is 10%) and if it doesn't find any data in that volume, it doesn't display anything. I don't know why Maptek Vulcan isn't searching the design database for CAD data or extents settings. This simple change would seem to fix all the problems that we are talking about in this post. 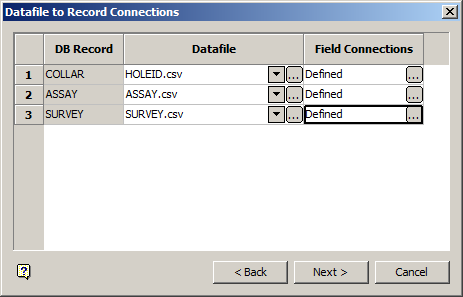 Select by picking - This radio button will let you re-size the window to fit specific data. Not helpful in the present scenario. In fact, I have never even thought of a scenario where I would want to do this but it is there just in case you come up with a psychotic case where you want to use it. Select by name - This is the default option for the simple reason that you always want to choose this method, don't change it. Layer name - You need to select a layer to use for fitting the window. This is obnoxious because I usually want to fit more data and can't. What ends up happening is I fit one layer and then reload the others. 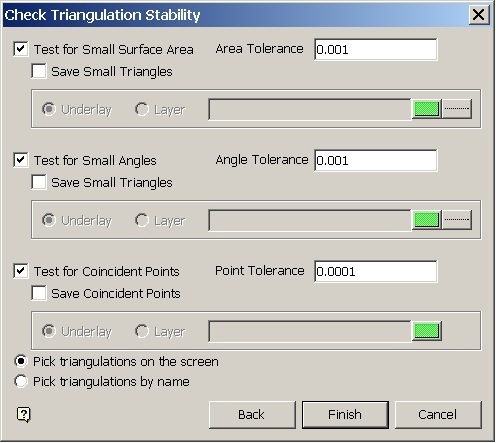 I wish Maptek would update the user friendliness of this method. 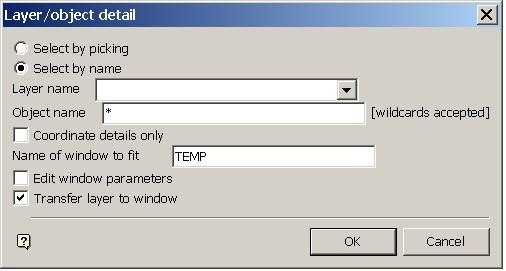 Object name - You have the option of selecting specific objects for fitting the window. I never use this option. Leave the asterisk in the field and everything in your layer will be selected. Coordinate details only - This check-box seems to be out of place in this panel. 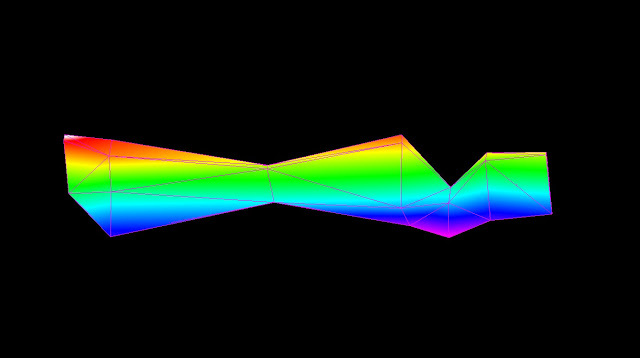 It reports the x, y, z coordinates of the object extents. It's neat but doesn't fit the window to your data so I don't know why it is included with this option. Name of window to fit - Give this field a unique name. If you attempt to re-use a window name and have data loaded nothing will happen. Once you have used the 'temp' name once, I suggest using 'temp1' or 'temp2' for subsequent window names. 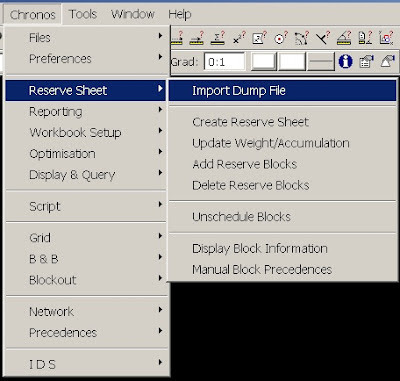 Edit window parameters - This option will open the Edit Window panel and give you the opportunity to edit the settings for your new window. You don't want to do this, leave the check-box alone. Transfer layer to window - This is the whole point of the panel, I don't know why you are given the option to not do this. When you click 'OK' your layer will be opened in a new window. Now that you can see your data, you can edit your data. You might have to translate to your usual coordinate area or increase the coordinate range in your dg1 file in order to avoid this exercise next time. I was working with one of our accountants the other day when he asked me a funny question. He said that he'd already received the schedule for the Proven and Probable (P&P) reserves but was wondering if we were going to do a schedule with Measured and Indicated (M&I) resources? "Well no," I told him. "By the time we've run the Lerchs-Grossman algorithm on the data, designed the pits and scheduled the results all the M&I material in the schedule will have been converted to P&P." This kind of miscommunication happens all the time. Not just between mine engineers and accountants but between mine engineers and geologists. Sometimes, it even happens between two professional mine engineers. To help with this confusion I started looking online for some definition of P&P vs M&I material. This proved to be surprisingly hard to find. I expected to find specific definitions in Canada's National Instrument (NI) 43-101 but was surprised to find this was not the case. In fact, I had a hard time finding the 43-101 document in the first place. The listing for NI 43-101 is maintained by the Canadian Institute of Mining, Metallurgy and Petroleum (CIM). Their web page was so confusing that I still cannot find a way to navigate there through links on their site. I finally found the actual link on Wikipedia. Please find below the links to both NI 43-101 and the CIM website. The majority of the world uses Canada's NI 43-101 or the JORC code as the defining guidelines for mineral deposit reporting. They are much more robust than the American guidelines. There are specific guidelines in the SEC code but in my search today I found this document from the Bureau of Mines and the US Geological Survey published in 1980. The circular is five pages long and is about what most standards looked like before Bre-X came along. reporting, that economic extraction can be justified. In addition to serving on the board of Allied Nevada Gold Corp., he (Carl Pescio) also holds 5.3 million shares of the gold mining company. Though the price of gold has receded from its fall 2011 highs, recent market volatility and general economic instability seems to have inspired enough fear to drive gold producers higher in anticipation of a flight to the yellow metal in the coming months. On the week Allied Nevada is up nearly 10%, with shares changing hands at $27.58 in early trading on Friday. As for Mr. Pescio’s shares, they are now worth $146.2 million, $12.9 million more than a week ago. It is true that Carl has 5.3 million shares of Allied Nevada stock and that the price jumped 10% that week. What is not stated is that the stock price at the beginning of May was above $29 a share. This means that, while Carl Pescio made $12.9 million in one week, he lost $7.5 million over the first 25 days of May. I imagine that all big gainers feel this same way. That their big gains are really just recouping some of the value they have built up over time. Allied Nevada stock has a 52 week high of $45.54. Carl has a long way to go to get back to that point. I hope that the readers of this, if not Forbes.com, will forgive him for making some money this week after losing so much this year. Goldcorp announced yesterday that it will pay a monthly dividend for June of 4.5 cents per share. Goldcorp has paid monthly dividends to shareholders since 2003. Shareholders are on par for a $0.54 per share dividend for all of 2012. At about $40 per share that is 1.35 percent in dividends. I like the idea of monthly dividends from a shareholder perspective, but isn't it more hassle than it's worth? How much paperwork needs to be filed by shareholders and by Goldcorp to have monthly dividends? How much time and effort and money is this costing? Wouldn't an annual $0.54 dividend do the same thing at a smaller expense?